Bank of Ireland, Lower Baggot St, Dublin 2. Intimidated and Threatened for Telling the Truth. 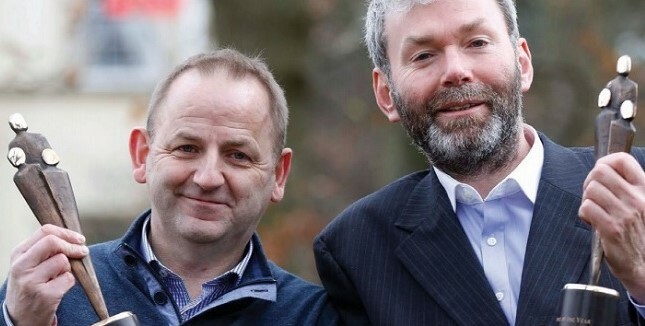 Sergeant Maurice McCabe found his life turned upside down when he reported systemic abuse of the Garda traffic records. The abuse was costing the taxpayer an estimated €1.5 million a year and undermining Ireland's road safety programme. Transparency's Speak Up team provided Maurice and his colleague John Wilson with guidance and support in dealing with the harrassment they faced, and publicly campaigned to see them treated fairly. Transparency continued to advise the Government on new whistleblower legislation during the case to ensure that people like Maurice, wherever they work, are able to tell the truth without suffering the consequences. We provide the only independent service in Ireland to people like Maurice so they can speak up safely about corruption and abuse of public resources. You can help us help them by donating to Transparency International Ireland today. Your generosity will not only help support whistleblowers but help bring an end to the abuse, corruption and bad governance that has blighted our country for decades. Can you accept anonymous donations? No, we can't. The organisations governing documents and commitments to the TI movement mean that we must disclose all of our revenue sources. So, please ensure you give us your contact details when making a donation. Can I specify a direction for my donation? You can tell us to restrict your funds to a certain cause or programme of activity.